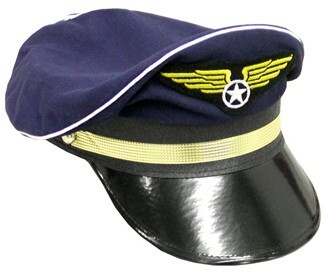 Cloth, pilot style hat with gold and white detailing. 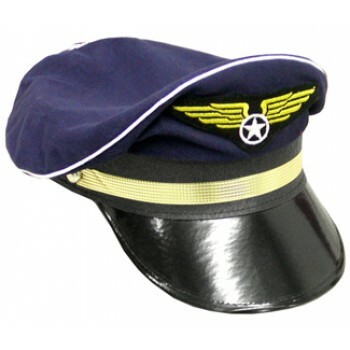 Adjustable back allows 20 to 24-inch head size. 11in long and 9in wide. One size fits most adults.